There are some Panasonic Mobile Schematic Manuals PDF above. Panasonic has become famous for its innovative inventions and original system solutions. Her story is also interesting because her founder is a legendary man who started from scratch and became the richest businessman in Japan. And today, the company's specialists are working hard to ensure that the products they produce are really valuable to the consumer. Panasonic Corporation was founded in 1918 by a Japanese named Konosuke Matsushita as a supplier of lamp holders. In 1927, she took up the production of the lanterns, and they will be the first products sold under the trademark National. In 1965, Panasonic introduced audio speakers under the name Technics. It was a line of stereo components, which later became popular all over the world. Throughout the 1970s and 1980s, the company continued to produce high-quality electronics for niche markets, including turntables and shortwave radios. In the 73rd it also established an enterprise together with Anam Group - although, in the 90s, it sold it. In 2006, the company decided to focus on digital TVs and suspended the production of analog TVs. Acquisition of Sanyo in two years allowed it to significantly increase its revenues. In winter 2008 the brand got a new name: now it became known as Panasonic Corporation. A little later this name was shortened to Panasonic. The changes were approved by the decision of the shareholders' meeting after consulting with the Matsushita family. In the same years, the company started producing plasma displays HDTV. In 2011, this business had to be cut back a little, as the company suffered some losses. In 2012, Panasonic announced a deal with Myspace for the production of Myspace TV. This invention should allow users to watch live TV while simultaneously communicating with other users through a laptop, tablet or, in fact, the TV itself. In 2012, more than $ 500 million was invested in research. In 2013, the company announced that it is going to invest $ 40 million in the construction of a plant in Vietnam, which is expected to be completed by 2015. In the summer of 2014, she also reached an agreement with Tesla Motors on participation in the Gigafactory project - building a huge battery plant in the US until 2020. Today the company can be divided into several main divisions. Thus, Panasonic Automative Systems is engaged in the production of mobile audio equipment, including navigation modules, head units and speakers. This firm also acts as a subcontractor of most major automotive manufacturers. Another subsidiary, Avionics Corporation, is a provider of communication systems and IFE. It is worth noting that the company Panasonic owned many subsidiaries in Europe. In 2012, it accounted for about 10% of the European consumer electronics market (after Samsung and LG (Schematics Manuals PDF pages)). She also ran a chain of stores in Ireland and the UK. The assortment of the company included a wide range of services and products. She produced a variety of household appliances, car electronics, cameras, batteries and so on. 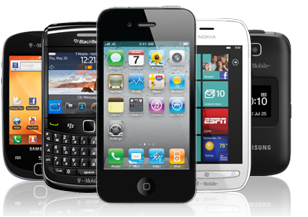 The Panasonic Mobile Communications division is responsible for the production of mobile devices and associated equipment. As of 2012, it had about 20% share in the Japanese mobile phone market. The first mobile phone based on GSM company became the model GD87. This device also had a digital camera. Panasonic went with it to the European communications market in 2002. Its feature was the presence of immediately two displays - monochrome and color. The device was made in the clamshell form factor. He had an external antenna, and it weighed just over 100 grams. The manufacturer equipped this device with a voice dialing and speakerphone function, and installed a lithium-ion battery with a capacity of 720 mAh, so that it could work for seven hours in talk mode and more than twenty hours in standby mode. By the way, in 2002, direct online sales of company products began. Panasonic has repeatedly sponsored professional athletes. For example, one of her "wards" was German footballer Marco Reus;. In addition, the company owns the Japanese club "Gamba Osaka", which is part of the Professional Football League of Japan. Also Panasonic is the official partner and sponsor of the AFC Champions League. At one time the company provided financial support to the program "Formula 1" of Toyota. She also sponsored other car races. Since the Olympics in Seoul in 1988, Panasonic has become the main sponsor of the Olympic Games. Another interesting fact concerns the support of some professional cinematographers. The company provided them with their cameras for projects. For example, the creators of the Swedish horror film "Marianne" used the camera model Lumix DMC-GH1.